Abanoub Montaser Rodolf of Cairo was recently part of a winning team at a prestigious science competition in Indonesia. But he credits his success there to what he learned earlier in the spring from a virtual exchange program implemented by the William Davidson Institute (WDI) at the University of Michigan in Ann Arbor. Rodolf was one of more than 500 students who participated in the WDI-organized program MENA-Michigan Initiative for Global Action Through Entrepreneurship (M²GATE), which paired undergraduate students from five Michigan campuses with peers in Egypt, Libya, Morocco and Tunisia to find entrepreneurial solutions to social challenges in the Middle East and North Africa (MENA) region. Working virtually, teams developed social entrepreneurship projects and accompanying pitches over an eight-week period with the help of instructors, mentors, and successful entrepreneurs from MENA and Michigan. M²GATE is supported by the Stevens Initiative, which is sponsored by the U.S. Department of State and administered by the Aspen Institute. The Initiative is an international effort to build global competence and career readiness skills for young people in the United States, the Middle East and North Africa. Rodolf, a student at Higher Technological Institute, was part of M²GATE’s second cohort and was on a team with three fellow Egyptians and two University of Michigan students – one each from the Ann Arbor and Dearborn campuses. His team, called the Sustainablers, developed an app that linked those looking to dispose of electronic waste with people interested in either buying or recycling it. The Sustainablers finished second out of 28 teams with their video pitch, which is below. In August 2018, Rodolf was selected by Egypt’s Academy of Scientific Research and Technology as one of five delegates to represent the country at the 12th Asian Science Camp in Manado, Indonesia after a highly competitive selection process. The camp brings together talented, young scientists from 30 countries to share their ideas and projects in Asia and meet Nobel laureates and distinguished scientists. Rodolf credits M²GATE with preparing him for this tough evaluation exercise. 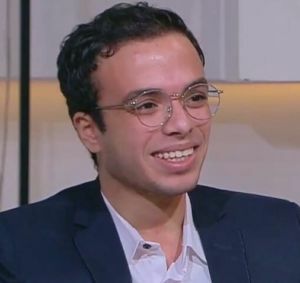 “The skills of thinking critically from diverse perspectives that I gained from M²GATE helped me to be different from the other applicants from all over Egypt,” he said. At the science camp, Rodolf was put on a team with students China, Japan, Thailand and Indonesia for a competition. They worked on a project to recycle plastic waste. The judges – including a Nobel laureate – chose the team’s project as the best.